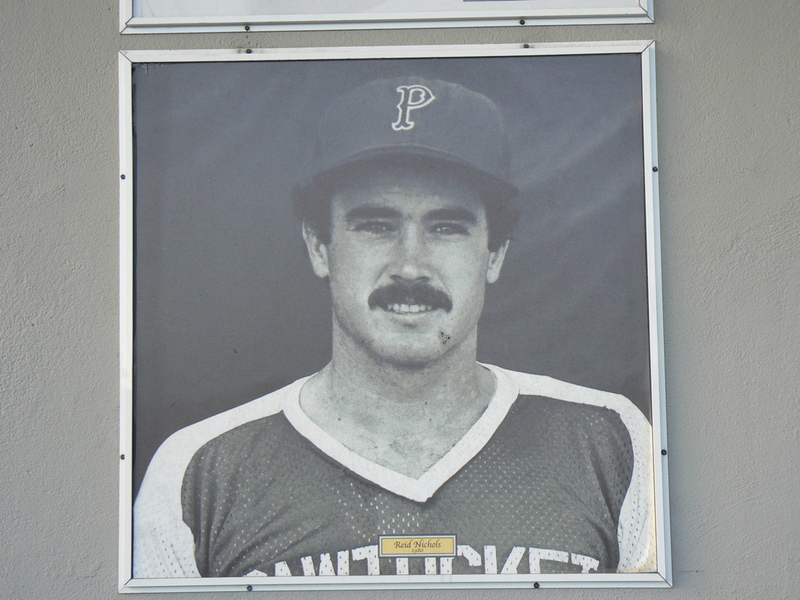 Reid Nichols played the outfield for the Pawtucket Red Sox in 1980. He was a 21-year-old baby boy. Through 134 games, Nichols batted .276 with a .322 OBP. He hit four home runs and struck out a lot. He led the team in stolen bases, though, with 23. 1. 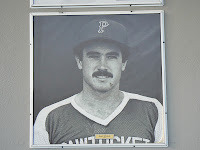 "...Reid Nichols, now at the AAA Pawtucket farm club of the Pawtucket Red Sox, is rated as the most likely non-pitcher to crack the 25-man Boston roster next season." - Ocala Star-Banner, AUG 1980. If you get so lonely when Reid's not there, go see his mural in the middle portion of the home plate tower. Above photo graciously and charitably loaned by JS of the RSFPT Foundation.